Need to build experience for a career in conservation? Looking for a summer get-away that allows you to give back to the world? Want to increase your knowledge of prairie ecology or natural history? If you answered yes to any of these questions, consider volunteering with The Nature Conservancy at the Platte River Prairies in Nebraska! We are looking for a few dedicated people who are willing to give a month or more of their time between May and October, 2012. You can assist us with seed harvesting, native plant nursery work, invasive species control, fence repair and maintenance, research data collection, and inventory/monitoring of plant and animal populations. In most cases, we can provide housing during your stay, so your primary expenses would be limited to travel to our prairies and food while you’re here. Join our team and get experience with seed harvest and many other conservation activities. We can tailor your experience to fit your individual needs and preferences. If you’re a student looking for practical job experience, we will make sure you get hands on practice with a wide variety of tools and techniques and can network with our partner organizations. If you’re more interested in some components of our work than others, we’ll do what we can to accomodate that. We can also help set up individual research or other projects if you want something more in-depth or need something like that for college credit. Anyone interested in volunteering with us can contact Mardell Jasnowski at our office (402-694-4191) or by email (mjasnowski@tnc.org) for more information. We will ask for a resume and references, and will sort through applicants to find a slate of volunteers who match up well with our needs and capacity to provide a good experience for both parties. There is no deadline for applications – we will begin evaluating them as they come in. This entry was posted in General, Prairie Management, Prairie Restoration/Reconstruction and tagged internship, invasive species control, platte river prairies, seed harvest, the nature conservancy, volunteering by Chris Helzer. Bookmark the permalink. Chris, Are you familar with the Volunteer Steward Network in the Chicago Region? Have you considered using this volunteering model for your area? I think a number of Stewards and volunteers in the Chicago Area would consider spending their vacation time seeing (and working in) some new territory in Nebraska. 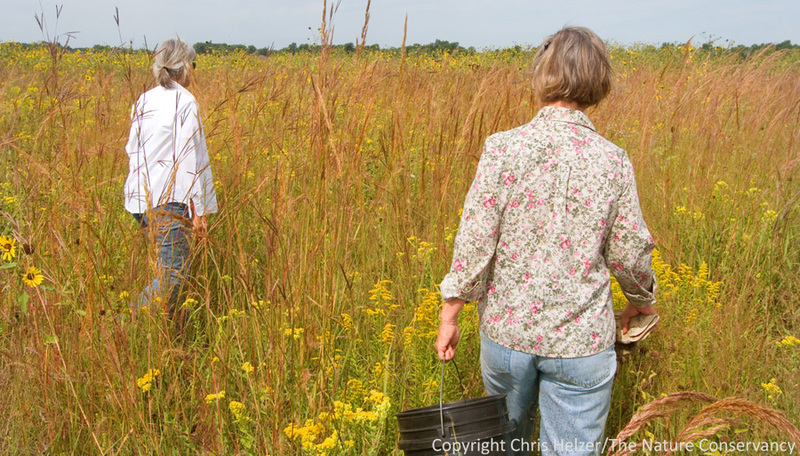 Have you considered short term volunteering for experienced stewards that would like to see prairie in Nebraska. There are some real chainsaw samurais and weed pulling warriors in Illinois. Karen Tharp could post an ad on the VSN if you liked this idea. Getting some Eastern folks into your prairies might also help change perceptions about grazing. These volunteers could spend half their vacation working and the other half seeing special places located around the State. Might help the rural economy a little too. I’m marginally familiar with the network, but hadn’t considered it as a possibility for us. It’s a good idea. I think at least a few subscribers to this blog are members of the VSN – I’d sure be appreciative if someone would be willing to spread the word further! I’m guessing I’ll be doing some volunteering anyway??? Nice Blog! I would be happy to promote your site to Illinois volunteers. Probably the best fit is in my monthly newsletter. Related to this, I know someone who is updating the list of TNC volunteer opportunities nationally and your site of course is on the list. That should be done soon, so I will probably couple the two. Happy Winter!